Yet another experimental read, this is a novel the justifies my practice of testing out only the first book in a series before getting all the rest. Do not assume you will like something, or that something is enjoyable, just because it’s in a certain genre and has some elements that you have enjoyed from other novels. Anyone doubting that, I refer you to Marvel’s Avengers and Josh Trank’s Fantastic Four. Both superhero films, and at completely opposite ends of a spectrum of quality. Needless to say, I did not particularly enjoy Sweet Blood of Mine, by John Corwin. The ads for this novel talked about how fans were raving for the “action-packed Overworld Chronicles.” To which I say, “…huh? Action? What action? Where?” Seriously, I spent so much time just waiting for something to happen! There was just a little bit of action way, way, waaaaay towards the end. And the preview for the next book in the series promises the threat of something happening, but the heroes are running away from it, so… yeah. Not much “action” in this “action-packed” novel. 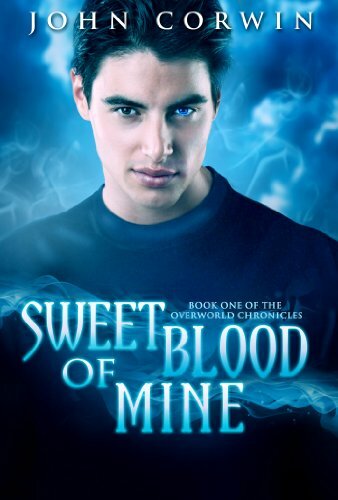 Sweet Blood of Mine is an urban fantasy, bringing vampires and werewolves and witches and such into modern day life. In particular, the story follows Justin, the very late-blooming son of an incubus and a witch. His parents were certain that, this late in his teens, Justin’s status as an overweight nerd instead of a ripply-muscled stud meant he would never “manifest” as an incubus. So they turn their backs for five minutes to try and deal with a magnificent mess caused entirely by ridiculous, old-fashioned prejudices within the supernatural community, and Justin manifests. He not only suddenly gains the power to sexually arouse (and “feed on”) any human female, he also quickly transforms into something much more like that ripply-muscled stud he ought to have been a bit earlier. The timing of this could not have been better planned by a particularly malicious god. Not only is Justin without anyone to guide him through the change, but the exact nature of the situation surrounding him, one where he is dealing with multiple sources of bullying, threatens to not only out his nature but the supernatural community in general. It’s complicated and filled with teenage drama, reinforced by petty, terrible, even criminal behavior on the part of the adults. It’s a perfect storm of misery, short of anything life-threatening until the end. At the same time, Justin is finally getting himself a real girlfriend. Her name is Elyssa, and she falls for him and he falls for her. And she’s a dhampir, which is a sort of half-vampire. I will say, I enjoy the small twist of having both sides of a relationship be supernatural. Of course, that amps up the teen drama thing, too. You know how Twilight has a vampire who overwhelmingly desires to eat his girlfriend, but he can’t give in? Well, now both sides are terribly hungry for each other, but don’t give in, and they break up, but still want each other, and are willing to die for each other. Yeah, yeah, we know, teens don’t really think in terms short of dying for each other, but there are slightly more reasonable, mundane sacrifices which are the real test of a relationship, ya know? Not even the promise of a very hot female lead can get be to read the next book. That’s a fair summary of what this book seems to do, actually. It takes the worn tropes… and doubles them, with just a sprinkle of a twist to make it “original.” Both teens have to deal with hungering for each other! Justin isn’t just an incubus, he’s also a witch! He doesn’t defend a girl (not Elyssa) from overly-aggressive, controlling boys just once, but twice! Elyssa eventually makes the sacrifice for Justin, and Justin makes it for her! And we don’t just have werewolves, we have werecats! On and on and on it goes! Double the trope! Double the drama! Double the boredom! When something finally does happen, Justin has to use his wits and any available allies he can his hands on to save his father. Of course, said allies kind of just magically show up and help him, regardless of past interactions. Without putting much effort into it, Justin finds himself working with an unofficial team of people who are all typically at odds with each other, and especially with an incubus like him. But they work together… just because. Really, reading this book made me want to bash my head against a wall for awhile. To wrap this up, I’m sure fans of this series will be happy to point out things like, say, “you have to get through the first book, it sets up the series” or “the later books have more action,” assuming of course there is any. I recently had a similar conversation with someone who liked The Gunslinger, which I did not enjoy so much, pointing out how the later novels are better. Here’s the thing: a storyteller needs to grab his audience at the beginning of the story. If you don’t entertain them from the very beginning, if you can’t hook them, what motivation could they possibly have for waiting and wading through the rest of the story? Basically, I did not enjoy this book very much, and I am not interested in the rest of the series. 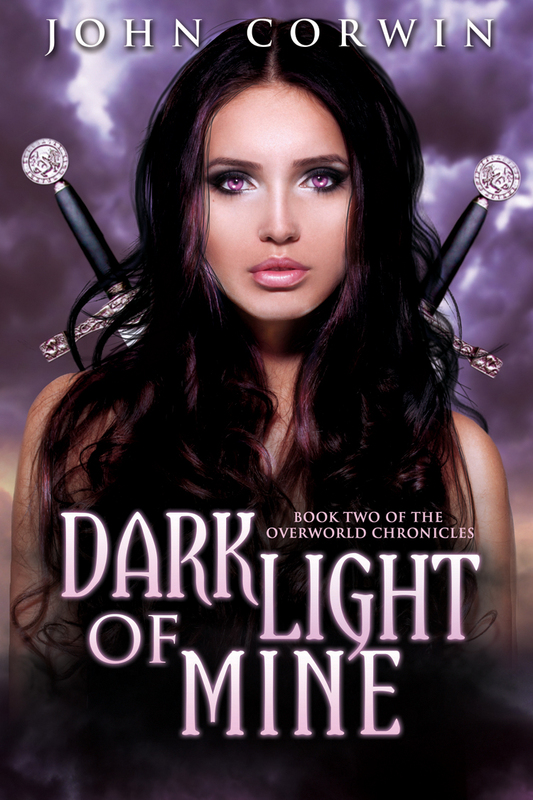 This entry was posted in Books, Tuesday Review and tagged John Corwin, Overworld Chronicles, Sweet Blood of Mine. Bookmark the permalink.